California is fortunate to have a sunny climate that is perfect for spending time outdoors. This is one of the reasons why most homes in the state are built with one or two outdoor living features in them. But to fully experience the wonderful benefits that these amenities can provide, they must be designed and built by professionals like us at Gilgert's Landscaping. If you have a property in Turlock or nearby city that needs some improvement, call us. 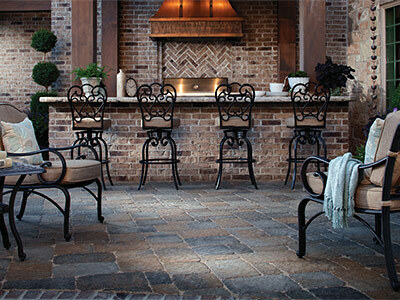 We have the logistics and expertise to complete any outdoor living project with commendable results. In fact, we've already helped a lot of homeowners make dramatic transformations to their outdoors by creating new living spaces in their properties. With our help, they now enjoy their outdoors with the new functional amenities that we have built them. Let us do the same for your landscape. As landscaping contractors with decades of experience, we make sure that our design plans and recommendations are sensible and budget friendly. We don't forget to incorporate in our designs your personal needs and preferences to ensure that you will love the results of your outdoor improvement project. The outdoor living amenities that we will build for you will not only boost the aesthetic appeal of your property but will also serve practical functions. We don't just turn your vacant outdoor space into a bland looking patio or deck – our creative designers will ensure that you'll get new spaces that will become great areas for relaxation and doing outdoor activities. At Gilgert's Landscaping, we prefer building customized outdoor living features for our clients to give them the best experience. However, we also offer other great options like the pre-built features from our trusted partner suppliers. With these partnerships, we can provide unlimited design options and guarantee fast completion of projects. Our company also uses green building materials to reduce our carbon footprint. We only install products from Basalite, the leading manufacturer of eco-friendly landscaping and construction products in the country. With them as our partner, we can create sustainable landscaped areas and build green outdoor living structures. With these products and the craftsmanship of our skilled masons and builders, we can create stunning and durable outdoor features for you. From installing elegant patios to fully furnished outdoor kitchens, you can trust us to deliver on our promise of high quality outdoor features. Our more than two decades of experience in the landscaping industry is our assurance to you that you'll get top notch services and quality products from us. Gilgert's Landscaping will not only create additional structures in your property but will build outdoor features that you’ll be proud of. We've been known in California for our unique and functional designs. 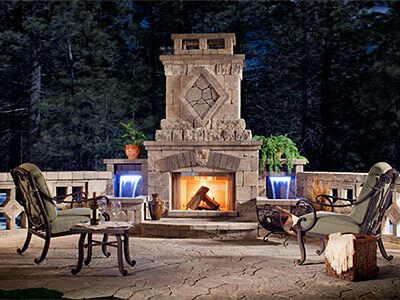 Let us provide the same kind of service to you so that you can also experience the best in outdoor living. Contact us today at 209-656-0431.